As usual, infrared features rather heavily in my photography, I got a chance to be reunited with my Canon 6DIR for the first time this season. It's a brilliant camera and really amazes me just how much colour it can capture along with the infrared spectrum, considering there is barely any overlap. The images worked best when converted to black and white, so you won't see any colour IR images here. 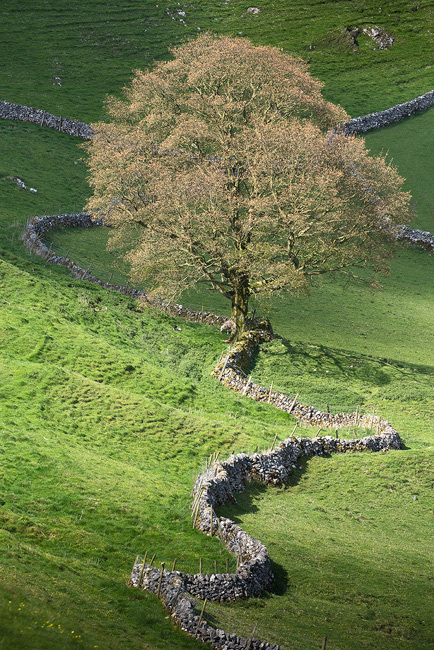 After photographing the fabulous profile of Parkhouse and Chrome Hill, this rather wonderful wobbly wall featured in everybody's photography. It was bitterly cold with the wind testing the image stabilisers to the maximum, but everyone really enjoyed the intermittent light as the sun illuminated the landscape with dappled light. 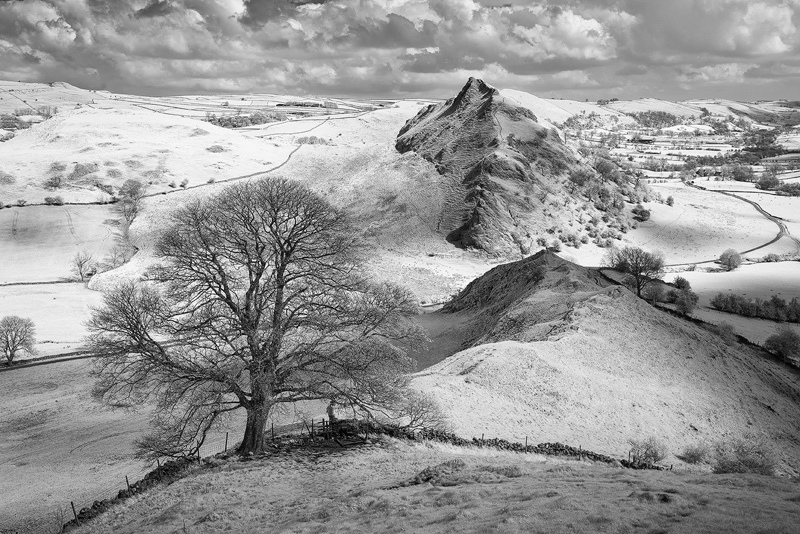 Here's a fabulous view from Chrome Hill towards Parkhouse Hill - I have to say I never tire of seeing this composition. Spring is not so advanced here as it is in the south of England, so that tree just doesn't have the leaf coverage, which is a shame. The only other time I have been here was in Autumn and it had shed all its leaves early..... so another reason to return. Overall, everyone on the workshop had a really excellent time. 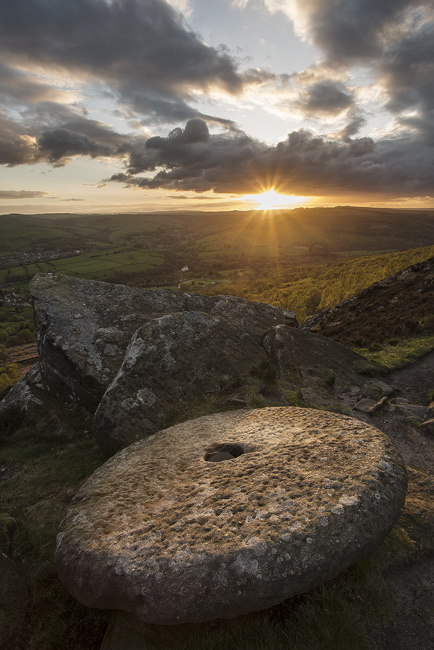 Even though each morning was a complete write-off the afternoon light and sunsets always delivered, making a really exceptional return to the Peaks. 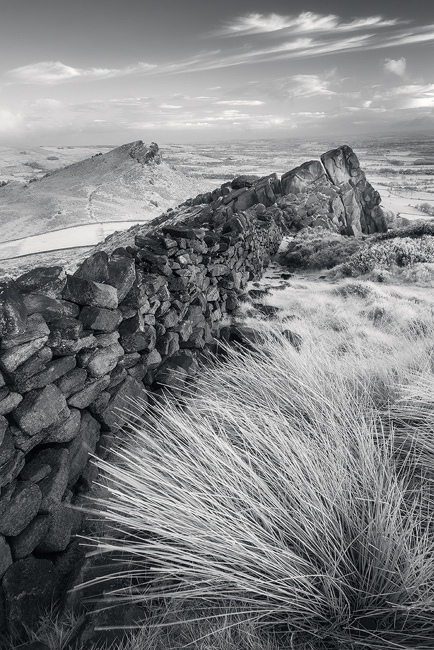 If you'd like join Doug and I on another Peak District workshop, we will be running the same tour next year in 2015, slightly later to cash in on springtime greens. New dates will be announced soon... but next it's to Paris.